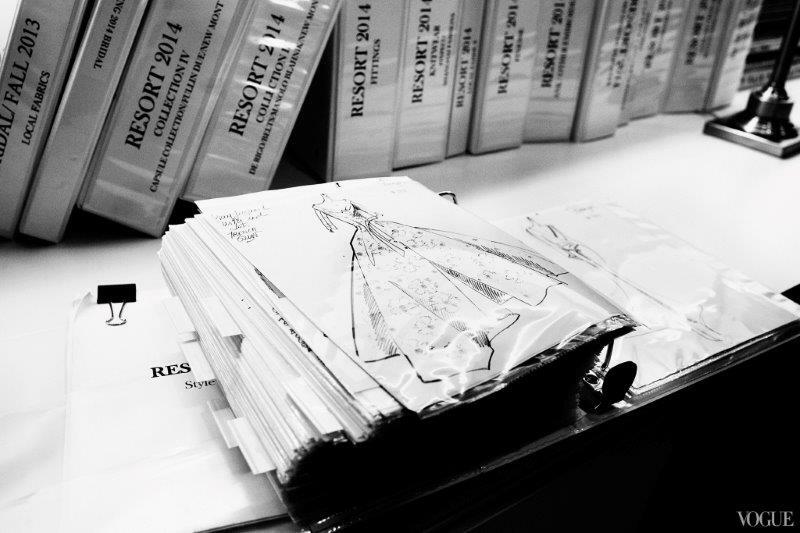 Friday Fashion: Carolina Herrera's Manhattan Atelier — Sukio Design Co. Speaking of workspaces, check out the New York studio of design legend Carolina Herrera. Located in Midtown Manhattan, it’s as elegant and classic as Carolina’s signature style. I love the use of black and white stripes. You can see the Empire State Building from the rooftop gardens, a favorite spot among employees. According to Carolina, "I think everyone wants to come and work here because of the gardens… It's very rare to have lunch on Seventh Avenue outside!"